Stevens County is located in West Central Minnesota, about an hour east of South Dakota. There is little chance you have heard of it. In 1910, the population came in at 8,293, and in the 100 years since then has only increased to 9,800.1”Minnesota Census Data,” last modified March 31, 2015, http://quickfacts.census.gov/qfd/states/27/27149.html The lack of a drastic increase in population lends perspective on the physical location of Stevens County. During the early 1900s, the land was predominantly inhabited by farmers spread out over the entire county. This meant the men tilled the fields while the women dominated the home. When war broke out in 1917, Stevens County was quick to respond. Liberty Bond drives, efforts to increase crop yields, increased food conservation efforts, as well as educational reforms all took place under the umbrella of a world war. Like the West Central School of Agriculture, Stevens County went through an immense change as a result of the Great War. Lives, families, and the economic structure of the region was forever changed. Most residents of Stevens County, however, did not live in a town—given that most of them were farmers. The map below gives a rough outline of some of the more prominent towns in Stevens County. Hancock, Donnelly, Morris, Chokio, Alberta, as well as the West Central School of Agriculture are all demarcated on the map so as to give you, the visitor, a better idea of where individuals usually got together to meet when it came to participating in clubs and activities. Today, in 2015, there are still few who have heard of Stevens County. Yet to those who live here that is perhaps its most redeeming quality. Small businesses, outdated fashion, and a down-to-earth character define this flat, windy, expansive region. During the summer most students from the University of Minnesota, Morris head home, leaving behind in their wake a tranquil, settled city devoted to preparing for the fall harvest and taking advantage of the two to three months of sunshine. You can find Stevens County residents during the day lounging at the beach, fishing on the lake, or taking a drive on the gravel backroads. At night when the heat and humidity bring out the mosquitoes they crack open the finest beer available— Minnesota’s Grain Belt—while huddled around their backyard campfire. Ask anyone from Minnesota and they will tell you, Minnesota is the most beautiful place in the world…until winter. When the days get shorter and the mosquitoes start to drop dead, it becomes time to throw a pair of jumper cables in your trunk along with two bags of kitty litter in case you end up in the ditch. Not much has changed in Stevens County — save for the addition of two new stoplights. 1. “West Central School of Agriculture,” n.d., Stevens County Historical Society, Morris, Minnesota. 2. “Atlantic Avenue, Morris,” n.d., Stevens County Historical Society, Morris, Minnesota. 3. “Birdseye Hancock, Minn.,” n.d., Stevens County Historical Society, Morris, Minnesota. 4. “Birdseye Alberta, Minn.,” n.d., Stevens County Historical Society, Morris, Minnesota. 5. “Birdseye Chokio, Minn.,” n.d., Stevens County Historical Society, Morris, Minnesota. 6. “Birdseye Donnelly, Minn.,” n.d., Stevens County Historical Society, Morris, Minnesota. 7. 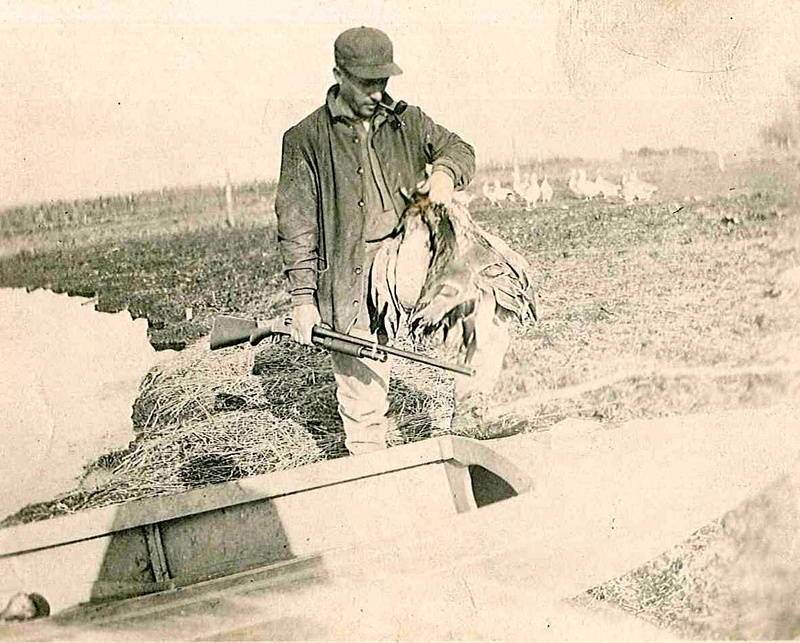 “Duck Hunting in Stevens County.,” n.d., Stevens County Historical Society, Morris, Minnesota.